Save Up to 45% off Select 12-Pack Arm & Hammer Air Filters! Plus, FREE Shipping! I always like to grab these when they are on sale. That way you don’t need to pay full price on them. 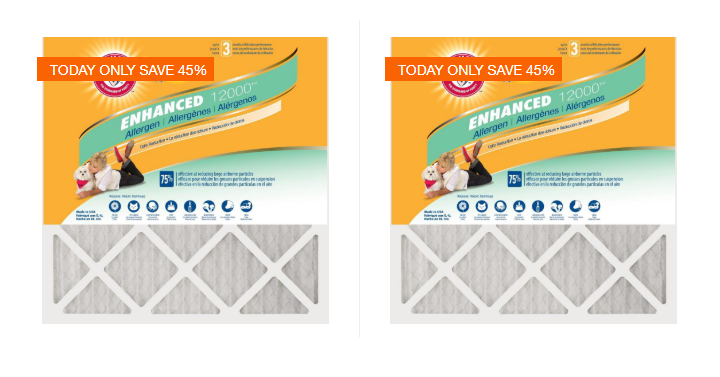 Today only, April 15th, Home Depot takes Up to 45% off Select 12-Pack Arm & Hammer Air Filters! Plus, you’ll score FREE Shipping too. Just choose the size you need and then check out.